John Spoltore was an elite athlete from the Waterloo Region who played hockey and baseball at the highest levels. He received numerous awards and distinctions over his career, was known as a true leader both on and off the ice, and had a passion for his community and for sports in general. At the age of 38, John passed away after a brief but courageous battle with Primary Central Nervous System Lymphoma (PCNSL) of the brain. As a result of John’s untimely passing, his friends and family created the John Spoltore “Team 23” Memorial Golf Tournament in an attempt to raise funds for John’s daughter’s future education. Over the past nine years, the event has been widely considered to be one of the most popular tournaments in the area. This year, 2019, will be our final tournament. It will once again be held at the Conestoga Golf and Conference Centre and will take place on Friday, August 23rd. Following the golf, there will be a dinner, auction items, and live entertainment at the course. We have expanded our mission and committed to supporting Donna’s Kids, a local charity that ensures under-privileged kids can play hockey, regardless of their financial means. This is a mission that fits so well with Johnny’s approach to life, his dedication to his friends and the way he always took care of others. 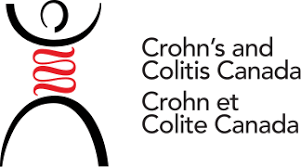 This year we will also be making a small donation to the Crohn’s and Colitis Foundation of Canada, to honour ‘Uncle Rick’ – one of the “hearts” of our tournament.